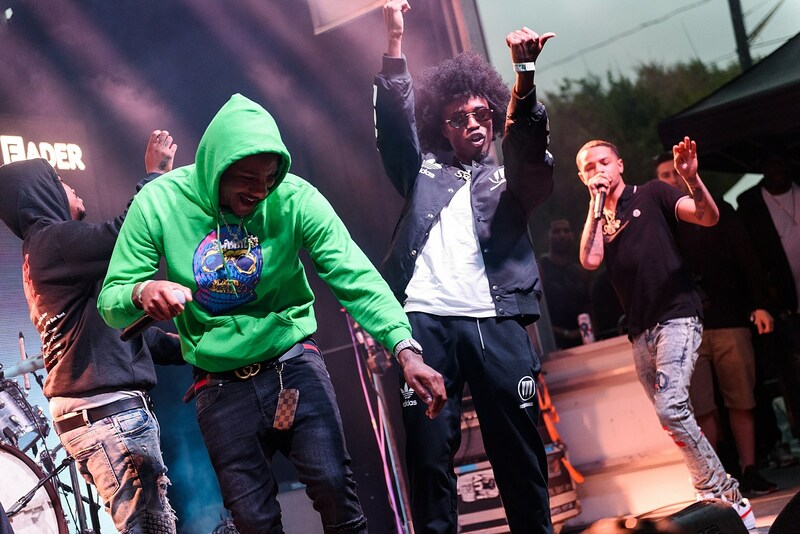 Vallejo rap group SOB x RBE continue to quickly rise in the wake of their standout track on Kendrick Lamar’s Black Panther: The Album and their own great 2018 album, Gangin. Having recently played a headlining NYC show at Rough Trade, and with plans to return to NYC for Warm Up at MoMA PS1 in July, the group have now announced a headlining fall tour that includes a larger NYC show: Irving Plaza on October 4. Tickets for that show go on sale Friday (6/8) at 10 AM with presales beforehand. Meanwhile, SOB x RBE are on tour supporting Post Malone and 21 Savage as we speak, hitting Chicago tonight (6/5). They also play the just-announced Made In America festival in Philly. Their Warm Up show happens July 28 with NYC house vet Tony Humphries, abstract rapper JPEFMAGIA, R&B singer Omar Apollo, and UK hip hop DJ Tiffany Calver (tickets). All dates are listed below.